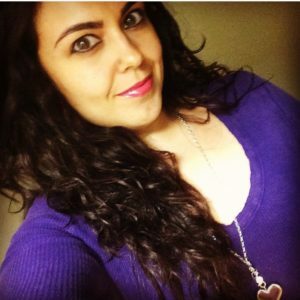 Ary Rodriguez, a proud Origami Owl Independent Designer in Miami wearing an Origami Owl necklace. You can design & order your own custom jewerly in her online store HERE. The summer is officially here! What better way to show your enthusiasm for beach and pool days than by rocking bracelets and necklaces that not only show your style, but also showcase YOUR story? 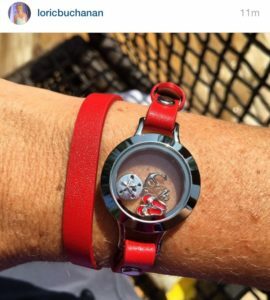 Yes… OrigamiOwl.com offers you just that and we have a Los Tweens & Teens code! Details below. Aside from allowing teens, tweens, mothers & tias to “tell their own story,” what really attracted us to this company is its OWN story: it was founded by Bella, whom at 14yr’s old asked her parents for a car as her 16th birthday gift. Their answer? She was told she had to earn it. As you might have guessed, Bella not only bought herself a white Jeep, she also built an empire from personalized lockets with charms. 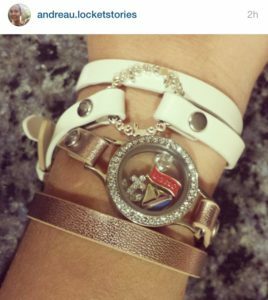 Just like Avon and Princess House, Origami Owl recruits sellers, “independent designers,” who can build their jewerly business through their own online store. The designers then recruit other women to serve as “hostesses” by hosting “jewerly bars” – like us, Los Tweens & Teens. Very cool! 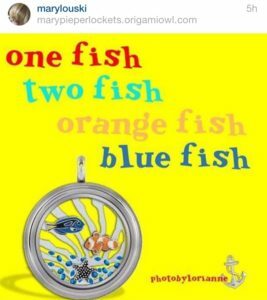 Personalizing your lockets, which you can turn into necklaces or bracelets, is as easy as following 3 steps: choose your locket, choose your charms and choose your necklace or bracelet. That’s it! We tried it and we promise, it will take just a few minutes. Of course, only if you can decide fast enough from all the cute little charms available in the summer collection, which include: pineapples, sandals, a soda can, a beach ball, sunglasses and many more. 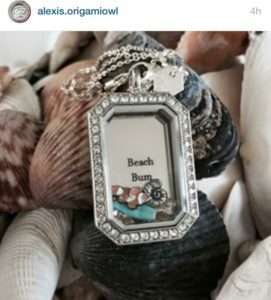 For some jewerly design inspiration, we searched Instagram for custom jewerly creations with Origami Owl’s Summer Collection and included our favorites below. 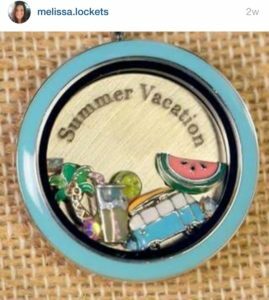 For shopping: Click on the image to go directly to Origami Owl’s Summer Collection presented in our amiga Ary Rodriguez’s online store – you can build your own summer story. 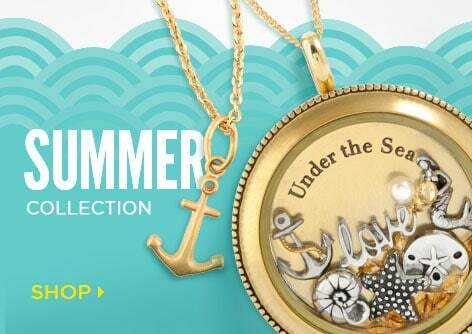 Every locket tells a story…what will be yours this summer? 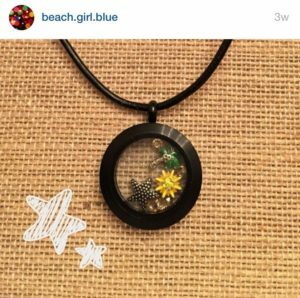 This entry was posted in #Shopping, Body, Fashion, Fashion & Beauty, For Mothers & Tias, For Teens and tagged custom jewelry, fashionista, jewelry, online shopping, Origami Owl, personalized jewerly, summer jewelry. Bookmark the permalink. ← [VIDEO] ¿Qué pasa cuando tres madres van de paseo en el nuevo Ford Mustang Convertible 2015 en Miami?